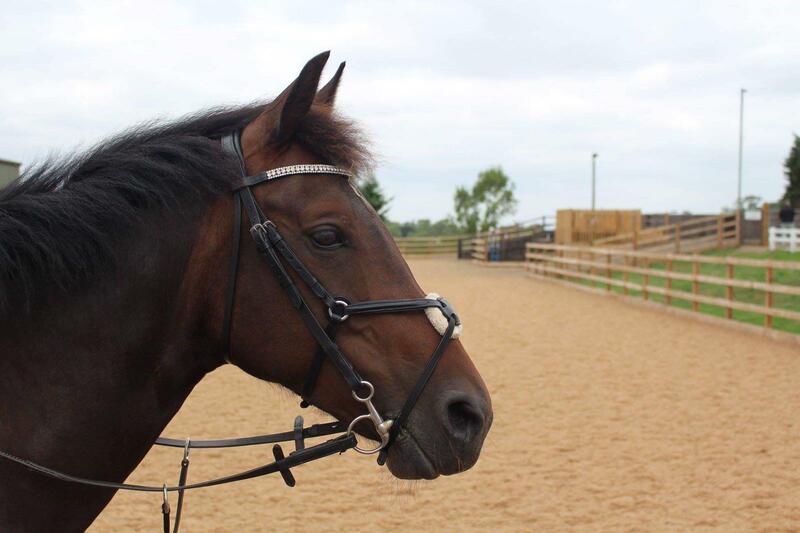 Description – April is a 15.2hh, 8 years old, Thoroughbred X, bay mare. History – April was born at Bransby Horses. Behaviour & Handling – April is a lovely, intelligent mare, who is great to handle. She is well schooled on the flat & competing at novice level dressage. 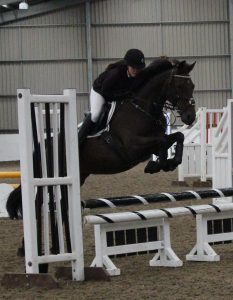 April is confident in her show jumping and is comfortable up to 80cm. April has trained X Country but this isn’t her strongest discipline. She will hack alone or in company. 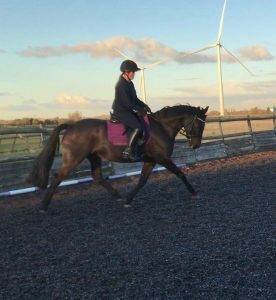 Perfect Match – April is looking for a confident, experienced rider as she can be a little forward going. April is currently fit and with the right home can be ready to compete this season. Stabling/Shelter – Can be stabled or live out with a field shelter and rug. Companionship – Can live with mares or geldings. Forage/Feed – Feed according to work load. Rug – Rug according to weather and clip. Feet – Currently shod. Good with farrier. Dentist – Would need sedating for this.